Racisim, partisanship, and incumbents finding every way possible to hold onto power is what is at play here. Texas Democratic Party Chair Gilberto Hinojosa called the ruling "an historic victory for the sacred voting rights of all Texans" and urged state officials to quickly remedy the issues. "Once again, Texas Republicans didn't just cheat to win a silly game, they used Jim Crow-era tactics to rig our election system," Hinojosa said. "Make no mistake, Republicans have stolen the voice of Texans at the ballot box for years." Now, us progressives need a long overdue, home-run here. Could state elections wind up back under federal control? With two federal courts again blasting Texas for "intentional discrimination" against blacks and Hispanics in drawing political boundaries, concern is mounting that voter-rights litigation could upend the state's 2018 elections calendar. State officials insisted Friday they expect to stop the court challenges on appeal, and reverse Texas' losing streak on the voting-rights lawsuits, legal experts predicted Texas could end up back under federal supervisions of its elections rules if the appeals fail. "In both of the cases where there are new decisions, the courts have ruled that Texas has purposefully maintained 'intentional discrimination' in the way it drew its maps," said Michael Li, an expert on Texas redistricting who is senior counsel with the Brennan Center for Justice at New York University. "That's an important finding that could result in Texas being placed back under pre-clearance coverage. Based on that, there may be a good chance that could happen." While other legal experts and political scientists agree, Gov. Greg Abbott and Attorney General Ken Paxton both insist that the state will win the cases on appeal -- so Texas' voting can proceed uninterrupted through the March primaries. "These issues (in the congressional redistricting case) have been ruled on previously, and we won at the Supreme Court," explained Abbott, who litigated the case for the state when he was attorney general. "We anticipate winning on appeal." Thursday's decision by a three-judge panel in San Antonio that nine House districts in Dallas, Nueces, Bell and Tarrant counties were drawn intentionally to dilute the strength of black and Hispanic voters marked the state's fourth court loss on voting rights in nine days. The San Antonio decision also said that, in some cases, the Legislature also went so far as "to ensure Anglo control" of some legislative districts -- a legal misstep that would violate federal law. Earlier rulings questioned the legality of two districts on Texas' congressional map, of a voting law restricting language interpretation access at polls and a Wednesday decision by a Corpus Christ federal judge invalidated the state's new voter ID law as discriminatory. In that decision, U.S. District Judge Nelva Gonzales Ramos invalidated the voter ID but went farther, implying that renewed federal supervision of Texas voting laws may be necessary, the process called pre-clearance that Texas has not been under since 2013. If Texas comes back under federal supervision, it would be the first state to be brought back under federal say-so since a federal court removed the restrictions in an Alabama case. The prolonged legal battle over the redistricting maps has cost Texas taxpayers upward of $3.9 million, a sum that doesn't include any costs incurred since mid-2014, when the sum was tallied. "There have been so many rulings of intentional discrimination by Texas Republicans that counting them is trivializing them," said Matt Angle, a veteran Democratic Party political strategist in Texas. "Rulings by federal courts that Texas Republican leaders have adopted and defended intentionally discriminatory and redistricting laws has become horribly commonplace ... It is a fact established over and over again by federal judges appointed from both parties." While the Republican leadership has repeatedly denied those accusations, insisting that the state's new voter ID and redistricting maps pass federal muster, they remain hopeful the prolonged litigation that has gone on for six years will not continue until the next redistricting process starts in 2021. On Friday, Paxton asked the Supreme Court to overturn the lower-court decision on Texas' congressional maps. "We are confident that the Supreme Court will allow Texas to continue to use the maps used in the last three election cycles," he said. Even so, until that appeal is decided, "we don't expect or anticipate any delay in the Texas election schedule," said Marc Rylander, Paxton's communications director. First, an appeal to the U.S. Supreme Court to overturn Thursday's ruling by the three-judge panel will almost certainly not be decided until after the filing period in November and December for House seats is over. 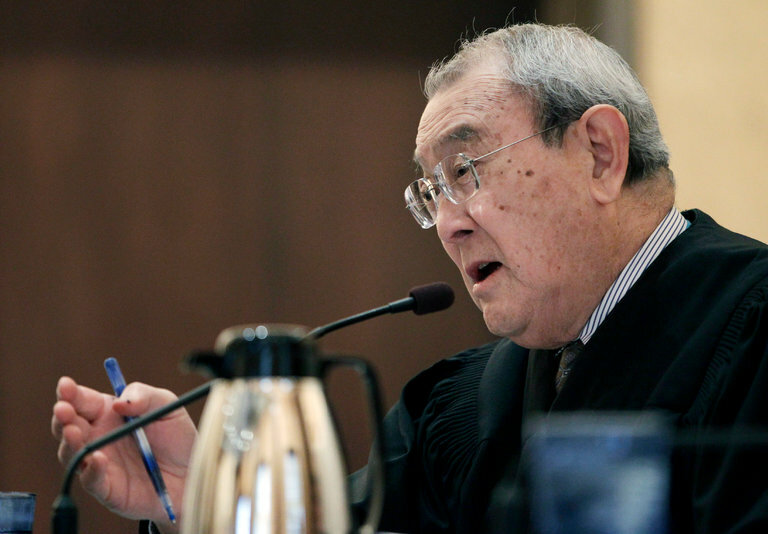 "There's a good chance that, given the way these cases stand with the courts, that the primary election schedule could be affected," Li said. "If the district maps have to be redrawn, that will have a cascade effect, especially with the state House maps where changing the lines may affect surrounding districts. It's like shifting around in a conference room with too many people ... You may have to put some in another room," he said. On Friday, lawmakers in the House -- as well as political consultants whose candidates are running in the nine contested districts -- were huddling to determine worst-case scenarios if the map lines have to be redrawn. They also wondered how new lines, and perhaps new members, might affect the seemingly assured reelection of House Speaker Joe Straus. Jerry Polinard, a political scientist at the University of Texas-Rio Grande Valley who has studied Texas redistricting for decades, said that since state officials have turned back suggestions to hold a special legislative session to resolve the map issues, revised maps will have to be drawn if the state's appeal fails. "This is just the gift that keeps on giving, because there are the potential of major consequences on down the road depending on how the courts rule on these pending issues," he said. "Texas has had more voter-rights litigation than other states ... and these cases will be watched closely because among the issues is partisan gerrymandering that's being raised in Republican-controlled states." At the same time partisanship is targeted in the court challenges, Republicans and Democrats are paying more attention to local non-partisan elections for school boards and municipal offices, which they see as training grounds for future state leaders. Both parties have plans to endorse and support candidates for the first time. Amid the continuing political squabbles over voting rights and redistricting, Democrats blame the GOP leadership with using redistricting and the new voter ID law to continue "state-sponsored voter suppression" and a return to election discrimination of the 1950s, labels that Republicans reject as inaccurate invective. "We hope the primaries next spring are not delayed, but already the sign-ups for precinct chairmen are being delayed and the counties need the district maps by October," said Manny Garcia, deputy executive director of the Texas Democratic Party. "The state's legal strategy for these discriminatory redistricting and voter ID laws has failed so far in the courts, and we believe it will fail again." Like the state's top GOP leaders, Republican Party of Texas Chairman James Dickey disagrees. "We oppose any identification of citizens by race, origin, or creed and oppose use of any such identification for purposes of creating voting districts," he said. "If lawmakers are forced to redraw these House districts, we ask that they be drawn accordingly." Events in Charlottesville recently cascaded into domestic terrorism. Three dead and dozens wounded as neo-Nazis, white supremacists, and other “alt-right” members descended upon the university that Thomas Jefferson built; their purpose, it is alleged, to defend a statute a monument to the Confederate Civil War soldier, General Robert E. Lee. 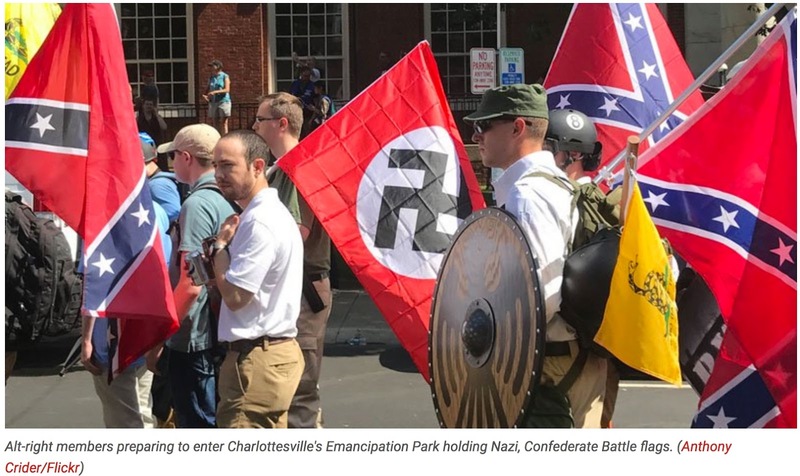 These radical rightists arrived from all across the United States upon the college town of Charlottesville to protect, in their words, their “white” heritage. Among the many problems, I have with so-called “white supremacists” is their purposeful mixing of “heritage” with “history,” rhetorically pining for a once proud “white” America.But history proves that America was never white. Speaking of Jamestown, the first Africans were brought into Virginia on a Dutch trading ship in 1619, a year before Pilgrims landed at Plymouth Rock, Massachusetts. Back to Africans, according to SlaveVoyages.org, the activities of the Atlantic slave trade brought 9,507 Africans to mainland America by 1699. Over the next 75-years or a year before the United States declared its Independence, another 220,000 were brought to slave upon the American mainland. The 1790 census (the first undertaken by the United States) proved 740,054 Africans in America or 26.5% of the population just a year after the Constitution was ratified. Equally, the war of 1812, which once again pitted the United States against Britain, was not wholly a white on white conflict. Again, Native Americans took sides, the Shawnee chief Tecumseh had formed a large multi-tribal Confederacy and played an enormous role in ensuring that the young United States failed at taking Canada. The great United States Navy admiral, Oliver Hazard Perry, along with Daniel Dobbins, a shipmaster, built a fleet from Greenwood on Lake Erie using African Americans to build and then man the fleet. At War’s end, at the Battle of New Orleans, General Andrew Jackson’s fighting force included Choctaw Indians and freed blacks. If we dig past the monuments of the Robert E. Lee’s and the Stonewall Jackson’s erected in the 1920s (Jim Crow era) or the 1950s (Civil Rights era), some in far away Arizona (Arizona achieved statehood in 1912, the Civil War ended in 1865), what we get to is a place called the past were easily traceable demographics prove a country filled with ethnicities from all over the world. What the alt-right desires are an America where whites maintain some semblance of power over anyone of color if not outright ethnic cleansing. Their rhetoric of Heritage is pure myth, a fabrication of a false past, creating memory where none existed. How you can help the victims of Hurricane Harvey. From Daily Kos. Angela, what's unfolding in Texas is a tragedy. As much as 50 inches—that's more than four feet—of rain may fall in some areas before the storm passes, an event that the National Weather Service calls "unprecedented ... and beyond anything experienced." Click here to chip in to one or more of these charities now. "The Texas AFT has set up a disaster relief fund for impacted teachers, where they can apply for aid to help cover home damage, ruined cars, care for injuries from the storm and lost school materials. It’s also mapped out how to deliver clean water and other supplies to affected areas once the storm subsides." Our thoughts and prayers are with you, Houston. Officials have delayed starting school for at least a week as Houston is pummeled by Harvey. By Lauren Camera, Education Reporter | Aug. 28, 2017, at 12:08 p.m.
Public school students in Houston won’t be starting school until at least Sept. 5, as the powerful storm dubbed Harvey continues to swirl overhead, dropping epic amounts of rain that’s caused severe flooding and has submerged large swaths of the sprawling city. Monday was slated to be the first day of school for Houston's public school system, which serves about 215,000 students – 76 percent of whom are economically disadvantaged. At least nine other school districts in proximity to Houston also have canceled classes until next week, including the Alvin, Channelview, Cypress-Fairbanks, Humble, Klein, Pearland, Spring, Stafford and Waller school districts. Carranza says his district – the largest in Texas and the seventh-largest in the U.S. – is working hand in hand with city and county officials in response to Harvey, which hit the Texas coast last week as a Category 4 hurricane and is now a tropical storm. School facilities in and around Houston are operating as shelters. 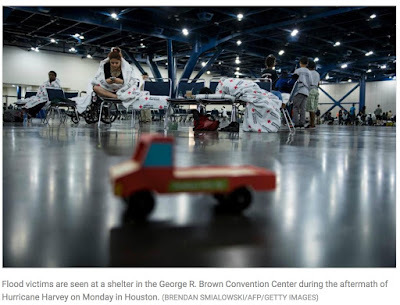 Carranza says a handful of libraries are also being used as makeshift shelters, and that the school district’s bus fleet is being used by emergency response officials to transport people to Houston's main shelter site at the George R. Brown Convention Center. The Federal Emergency Management Agency expects the storm to drive 30,000 people into shelters. The rain in Houston isn't expected to cede until Thursday or Friday. Carranza says the start of school may be delayed further, depending on the rainfall over the next 72 hours, the assessed damage and the pace of cleanup and recovery. The biggest needs, Carranza says, are basic items, including clothes and school supplies. Over the weekend, American Federation of Teachers President Randi Weingarten held a conference call with local teachers union leaders in Houston and surrounding areas to get a sense of the devastation. The Texas AFT has set up a disaster relief fund for impacted teachers, where they can apply for aid to help cover home damage, ruined cars, care for injuries from the storm and lost school materials. It’s also mapped out how to deliver clean water and other supplies to affected areas once the storm subsides. While much of the focus has been on Houston schools, smaller districts were also impacted. In the coastal town of Rockport, Texas, the storm ripped metal siding off a high school gym and mangled the door frame of the school's auditorium, according to local media. Support for educators and school officials came pouring in over Twitter, with school officials from Fort Worth and Arlington in Texas – and from farther away in Miami – tweeting their support and offers to help. DeVos joined a teleconference with President Donald Trump on Sunday regarding the impact of the storm, and department staffers have a meeting scheduled for Monday afternoon to discuss the type of assistance the department can provide. Unfortunately, there is a lot of misinformation about HB 1774 which made important changes with regard to claims made on property casualty insurance companies for weather related damage. The bill is effective September 1, 2017. The bill does not apply to FEMA, a federal insurance program that provides flood damage coverage. The bill does apply to other insurance companies providing property casualty coverage weather related damage claims. If you have experienced property damage and are planning to file a claim, you file notice of claim as soon as possible and by Friday, September 1, 2017 to proceed under current law. For more information, contact me or your attorney. Thank you. "...because of uncertainty in the new law, the trial lawyers association is urging everyone to be safe rather than sorry, and file a notice with their insurance carrier before Friday." A new insurance law taking effect lowers the penalty on insurance companies for slow storm damage payments. A Jetski is used to help people evacuate homes after the area was inundated with flooding from Hurricane Harvey on August 27, 2017 in Houston. Harvey, which made landfall north of Corpus Christi late Friday evening, is expected to dump upwards to 40 inches of rain in Texas over the next couple of days. If your home or business has damage from Hurricane Harvey, you should notify your insurance company—in writing—that you intend to file a claim before a new law takes effect on Friday, according to the Texas Trial Lawyers Association. Even though the hurricane occurred before the law took effect, a claim filed on Friday or after will likely be covered by a new law that seeks to reduce frivolous insurance lawsuits. On Friday, the penalty for an insurance company that doesn’t promptly pay a claim as a result of a lawsuit will be determined by a market-based formula that is currently at 10 percent. The former penalty was 18 percent. The new law also gives lawsuit immunity to insurance adjusters who low-ball a claim. Texas Trial Lawyers Association spokesman Alex Winslow said the notice of a claim can be filed directly on an insurance company’s web site, by fax or certified mail, but it is best done in writing and with the policy holder retaining a copy of the filing. Winslow said the claim does not need to say anything more than that the policy holder suffered damage from Hurricane Harvey and intends to file a claim. The notice should contain the name and contact information of the policy holder and, if possible, the insurance policy number. Winslow said the new law may not affect federal flood insurance or windstorm policies held on the coast by the Texas Windstorm Insurance Association, a state-run consortium that provides hurricane coverage on the immediate coast. But Winslow said that because of uncertainty in the new law, the trial lawyers association is urging everyone to be safe rather than sorry, and file a notice with their insurance carrier before Friday. Still, this new law won’t affect the bulk of policy holders. As the Texas Tribune notes, most homeowners’ policies don’t cover flooding in Texas. And the ones that do are usually through National Flood Insurance Program, which is not subject to state regulations. In my 12 years of teaching at four schools in two states, I have seen my fair share of educator struggles. But now more than ever, I’m worried for our students. 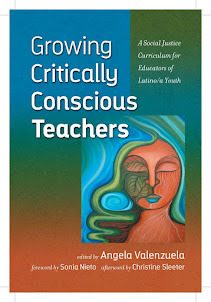 In my school district, we lose50% of new teachers within three to five years. For two years, I have been actively participating as my district develops and implements a plan to solve this problem. We’re not the only district struggling to address new teacher attrition. California has seen 20% to 40% of new teachers leave the profession within the first five years, and the percentage has been increasing. Here is New York Times' Maggie Astor's column on the August 22, 2017 Arizona court decision. Former Arizona schools superintendent John Huppenthal thinks that growing up with Mexican Americans in Tucson doesn't make him racist. He fails to see just how offensive, and yes, racist, it is to say that he succeeded in school because he had the "right values" growing up—whereas, by implication, Mexicans did not. Racism consists, in great part, in the making of not only categorical, often stereotypical, blanket, statements like this (see below). It shows how he really doesn't know or understand the people he arrogantly claims to defend. Ironically, Huppenthal himself could have saved himself a lot of grief had he had an Ethnic Studies intervention at some point in his life. Among other things, he would have learned that getting "inoculated" from racism—if it is even fully achievable in a society and world that is profoundly stratified by race/ethnicity and class—doesn't automatically come with having played football, run cross-country, and wrestled with Mexican kids that one grows up with. If there's no curriculum or pedagogy to that effect, then there is no thought process to occur that would have broken it all down for him in a way that would have ultimately saved him from himself. Same deal with Tom Horne. Thankfully, a judge thought differently about all of this, too. You can read my own personal reflection on the matter here if you like.